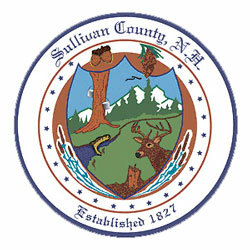 Come join our team in the Facilities and Operations Department at Sullivan County! We are looking for an energetic, conscientious, and detail-oriented team member who enjoys making a difference and takes pride in his or her work. The Facilities Technician position available has a focus on the operation of our Biomass Heating Plant, coordinating vehicle and equipment maintenance program, and supporting grounds care and snow removal. Physical maintenance, repairs, and operation of wood-chip biomass central heating plant. Perform a variety of skilled tasks such as heating plant maintenance, electronic and digital controls, emergency heating call ins, compliance data collection and record keeping, and wood chip delivery coordination. Perform snow plowing, salting, and sanding using truck or tractor, remove snow and ice from sidewalks and steps. Repair mowers, tractors, and other mechanical equipment; operate cutting and welding equipment; minor service to motor vehicles. Assist with landscaping efforts and supervise inmates to do seasonal cleanups and to mow, trim and edge lawns. Other general maintenance such as painting, carpentry, welding, and sitework. A candidate for this position should have a high school diploma, or equivalent, and at least two (2) years experience and trades knowledge of maintenance procedures is desirable. Familiarity with boiler and steam operations preferred, but we will train the right person. Valid NH or VT driver’s license is required. Benefits include medical, dental, pension, tuition reimbursement, life and long term disability insurance.